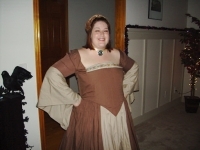 The Anne Boleyn Files Halloween Competition 2010 was won by Pamela Trautmann who looked fantastic in her Tudor Rose dress. Congratulations, Pamela! 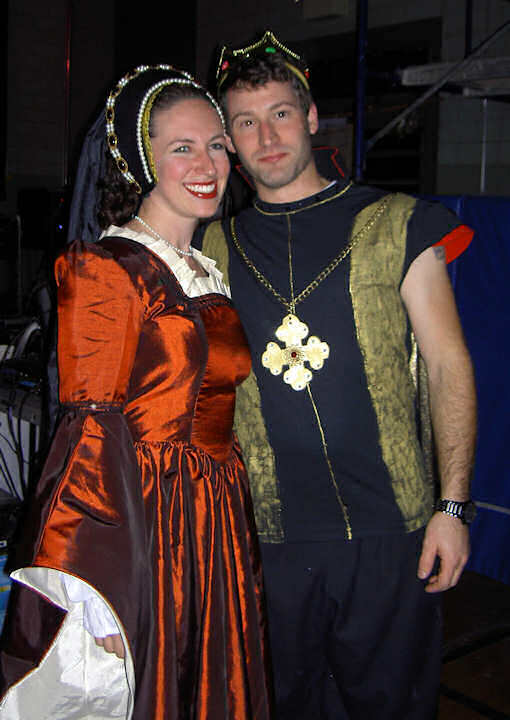 The judges really had a tough time judging the competition because everyone had made such a big effort with their costumes and they all looked fantastic. 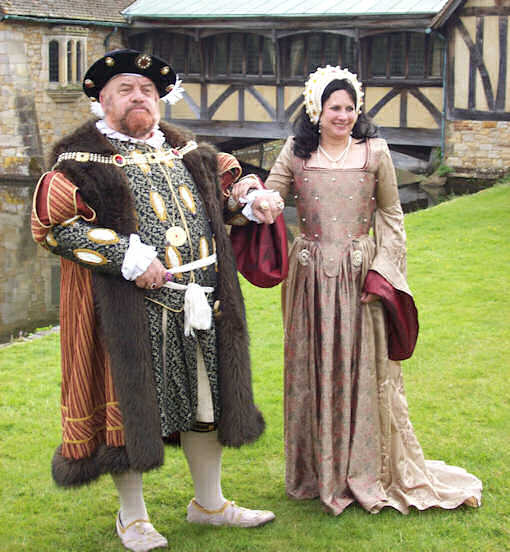 Holly Gaylor deserves a special mention as our youngest entrant and for wearing her costume at Hever Castle, the home of Anne Boleyn – Holly, you and your friend Aliyah look great! Adrienne Dillard – The Value Traditional Tudor Gown in brown and tan. Annie Gibson – Lady Amelia Cream Pearl French Hood. Kris customised this for Annie by adding a gold snood. 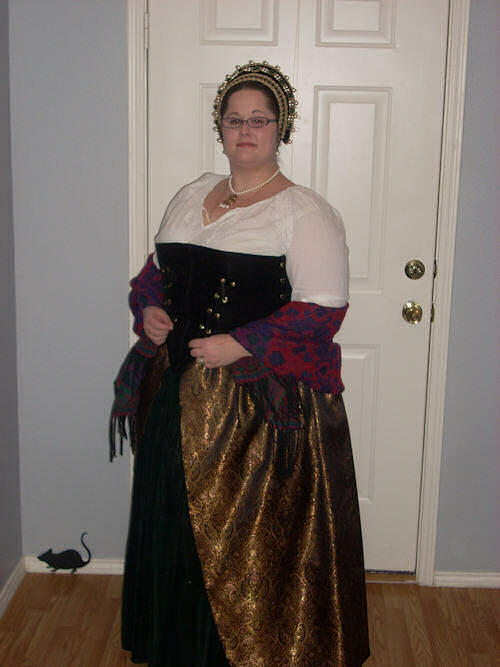 Arielle Kaplan – Lady Amelia French Hood, customised according to Arielle’s requirements. 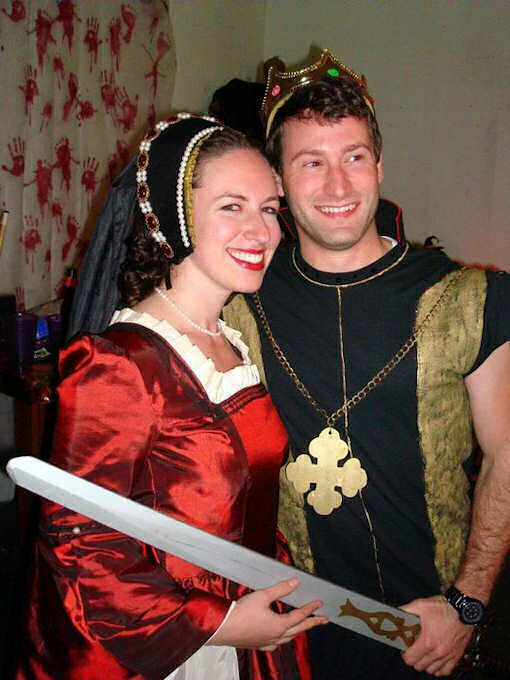 In her third photo, Arielle is wearing the Anne Boleyn Pearl Crystal Headband. Becky Meyer – Anne Boleyn Cream Velvet Hood but made with black velvet and green stones. 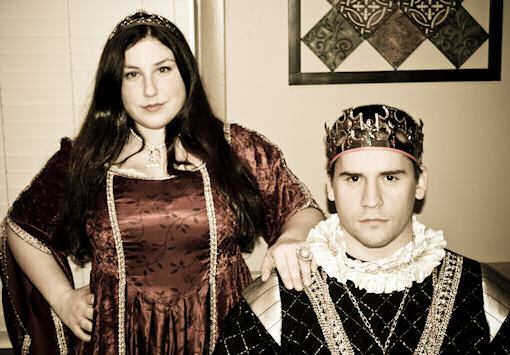 Brittany Gomes – Anne Boleyn B Necklace (gold-plated edition). 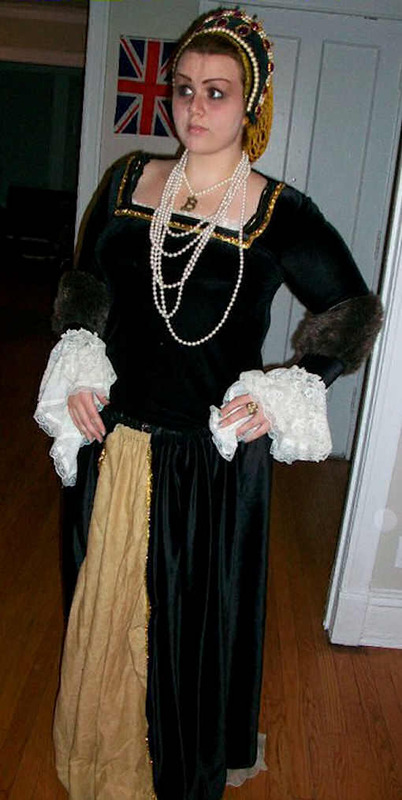 Holly Gaylor – Anne Boleyn Pearl Heart Earrings. 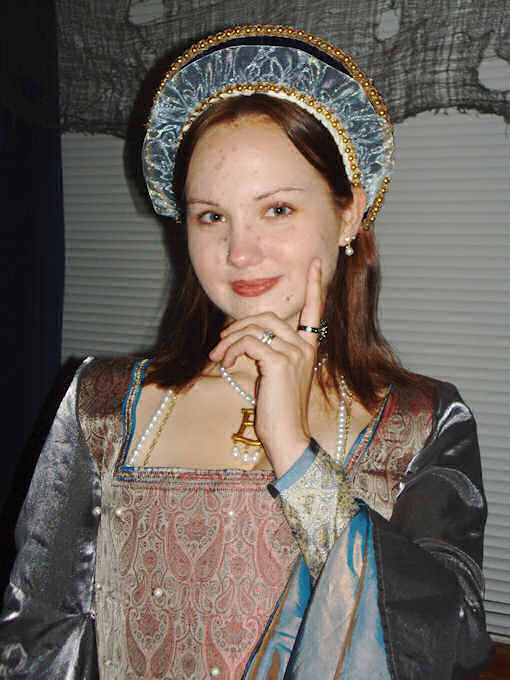 Lindsay Mason – Anne Boleyn Silver and Blue Promo Dress (launching soon! 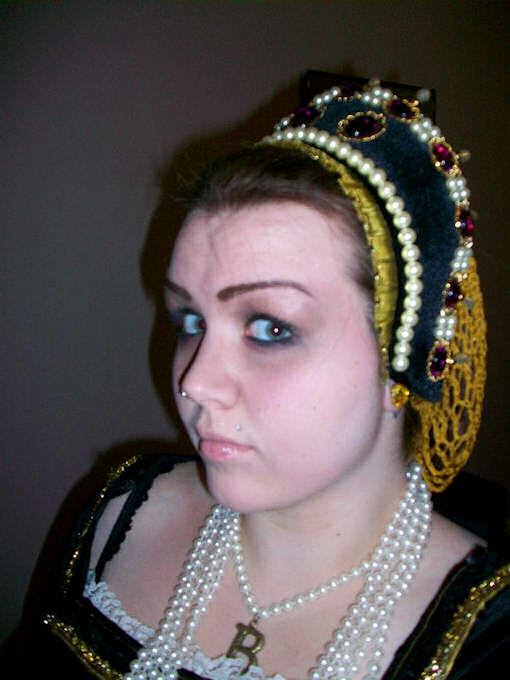 ), Anne Boleyn Pearl Tiara, Anne Boleyn White and Silver Pearl Drop earrings, Anne Boleyn Tassel Necklace and Anne Boleyn Pearl Ring. 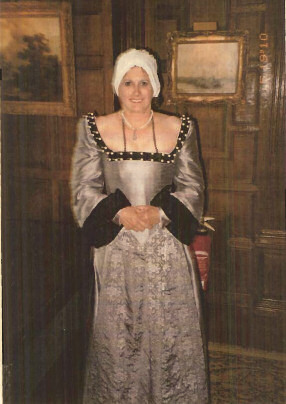 Nancy Smith – Photo 1: Anne Boleyn Execution Dress and cap, Anne Boleyn Tassel Necklace. 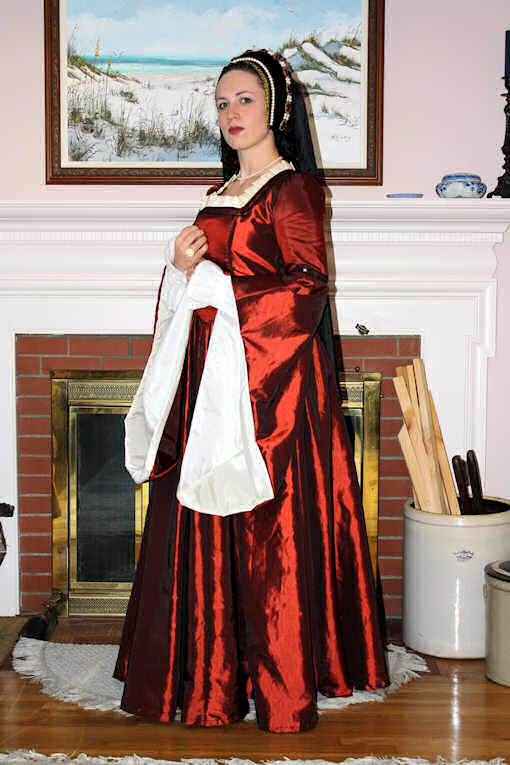 Photo 2: Anne Boleyn Cream Velvet Hood. 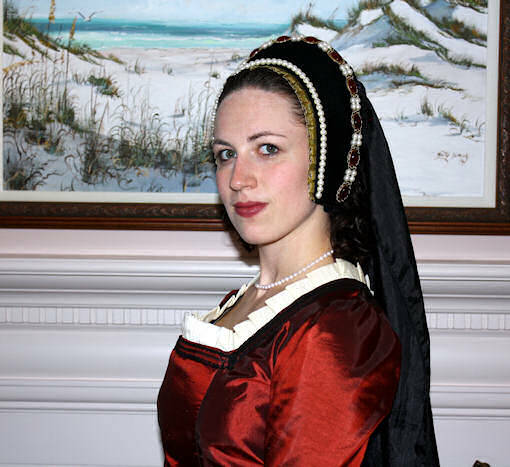 Photo 3: Pembroke Dress with matching Pembroke French Hood, Anne Boleyn Red Flower Earrings and Anne Boleyn Ornate Ruby Pearldrop Necklace. 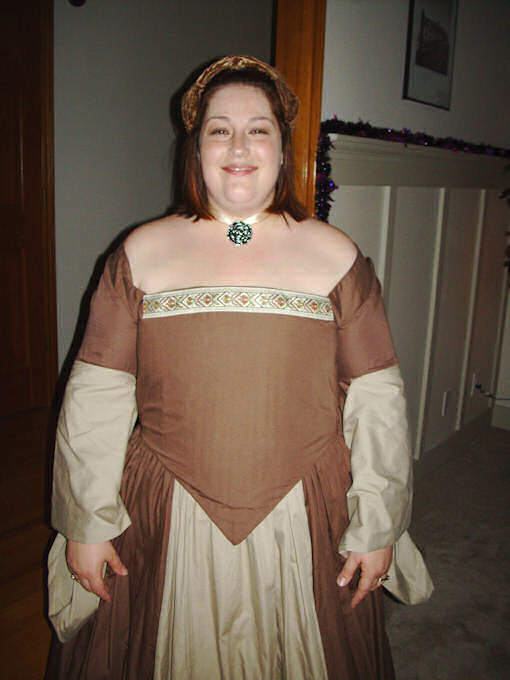 Pamela Trautmann – Tudor Rose Dress. 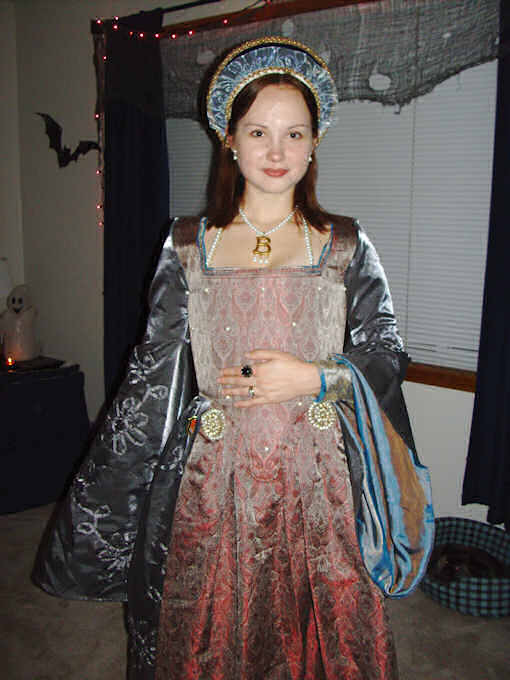 Sheena Reekie – Photo 1: Anne Boleyn B Necklace (gold-plated edition), Catherine/Mary Crescent and Order of the Garter Chain . 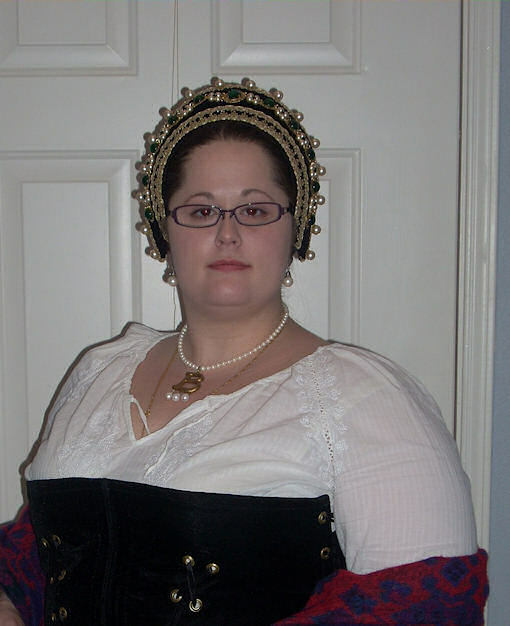 Photo 2: Anne Boleyn Ruby Necklace and Anne Boleyn Ruby Headband. 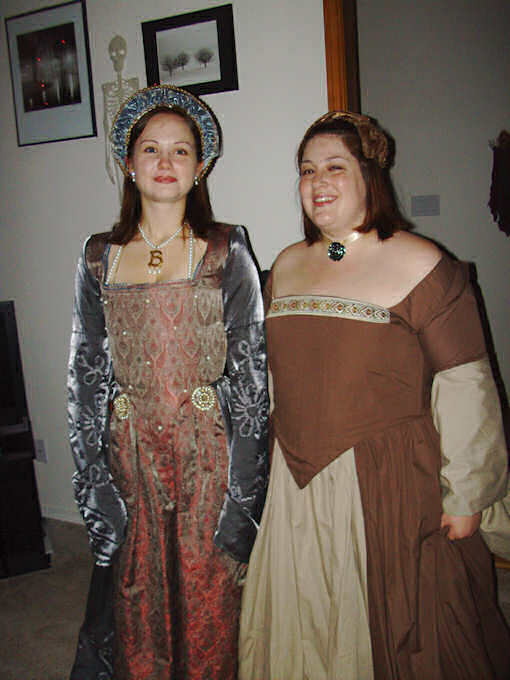 Photo 3: Anne Boleyn B Necklace (gold-plated edition) and Anne Boleyn French Hood.